In Nolan We Trust! 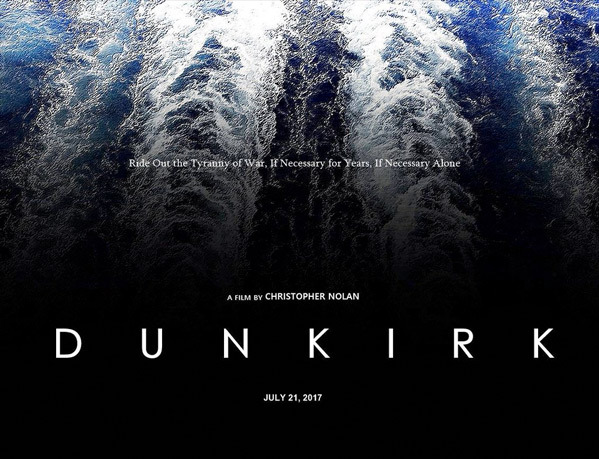 It has been just over 24 hours since Warner Bros officially announced details about Christopher Nolan's next film, a WWII-set action-thriller titled Dunkirk, to be filmed in 65mm. The news arrived with an announcement from the Mayor of Dunkirk, France discussing a major movie production shooting there in May/June next year. 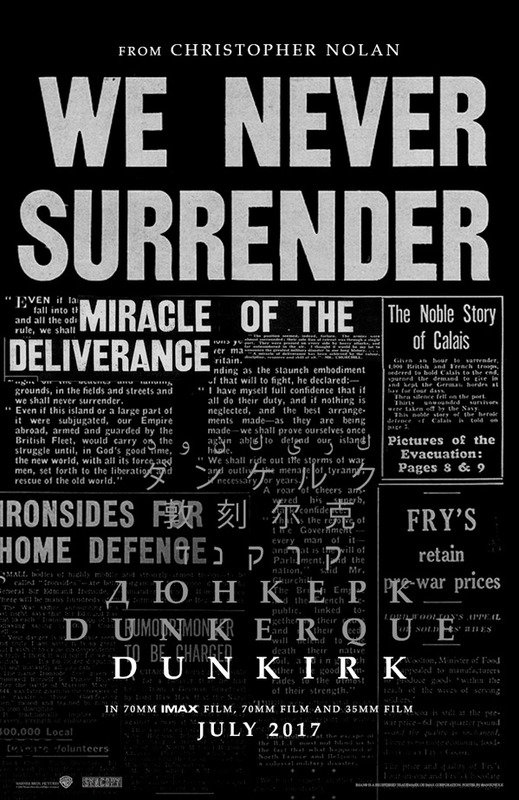 Loyal Nolan fans are already so excited they've whipped up the first three fan-made posters for a project we know hardly anything about. These posters are all designed around the Dunkirk evacuation in 1940, known as Operation Dynamo, referencing events and imagery from WWII. They're still very cool to see, and I love that fans are so excited by the film already that they've made this art. Ride Out the Tyranny of War. Christopher Nolan will direct Dunkirk from his own original screenplay, filming on-site in France later this summer, with a release planned for summer 2017. The large scale film will be shot on a combination of IMAX 65mm and 65mm large format film photography for maximum image quality and high impact immersion. The cast will be headed by yet-to-be-cast unknowns. Mark Rylance, Kenneth Branagh and Tom Hardy are currently in talks to join the ensemble. We'll keep an eye out for news. The Dunkirk evacuation, code-named Operation Dynamo, also known as the Miracle of Dunkirk, was the evacuation of Allied soldiers from the beaches and harbor of Dunkirk, France, between May 27th and June 4th, 1940, during World War II. After the invasion of France by Hitler, over 300,000 troops from Belgium, England and France had to be evacuated across the Channel. It was a very massive operation involving hundreds of merchant marine boats, fishing boats, pleasure craft, and lifeboats called into service in order to assist in this emergency. There was a film made in 1958 starring John Mills called Dunkirk about the evacuation as well (watch on iTunes). This seems like it should be an epic story for Nolan to tell. Stay tuned. Very excited to see this...hopefully Nolan stays true to history. If you want a quick video lesson and have Netflix, check out "World War II in HD Colour" (not the History Channel's 'WWII in HD') and watch episode 2 "Lightning War"...will give you a good understanding of what happened at Dunkirk (and why). The second to last one is my favorite. Are you talking about the documentary episode? I haven't made my way through the whole series yet, but am hooked on it. I will probably finish it off in the coming week. Looking forward to that episode now! 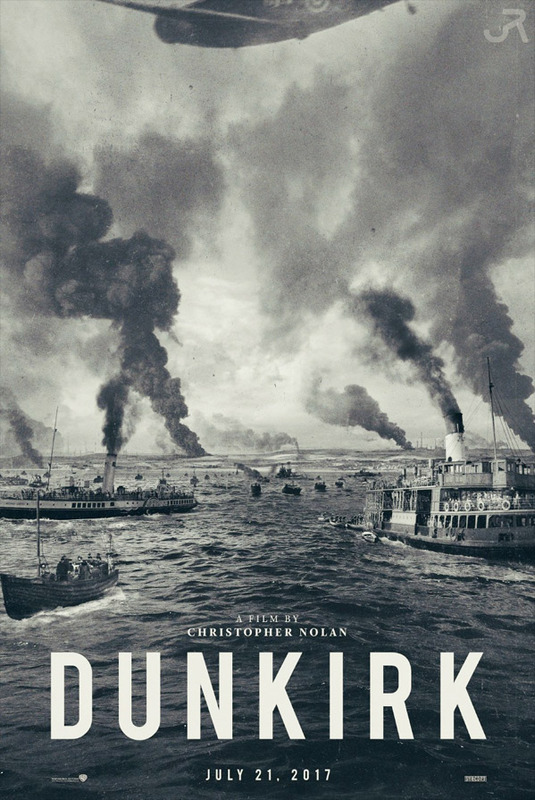 While in college I wrote a paper on Dunkirk so I am familiar with the topic but do not really see much of a movie. And even though I did not like Interstellar, I still have some faith that Nolan will make a good movie out of this. A desperate rear guard action while a massive civilian flotilla rescues the defeated remnants of the British and French armies while under constant danger of air and sea attack. Yeah.... not much in it. Hey, you learned how to use google.. good for you man !! Not lately.. They always have to wrap the story around some fictional characters or some love story.. This particular event did not have any of this. So yeah, I agree with both of U, if U wanna make a flat our WWII movie, this would be awesome.. But who does that these days ? U make a good point and I agree those to be very good examples of good movies. I guess sometimes I still remember the travesty that was that Pearl Harbor movie.